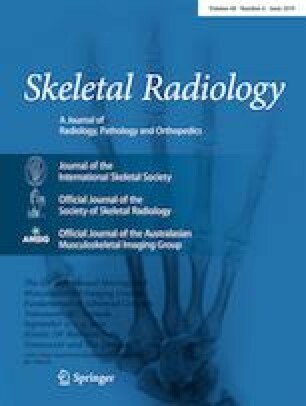 To evaluate the diagnostic accuracy of magnetic resonance imaging (MRI) for detection of instability and tears of the proximal long head of biceps tendon (LHBT). To assess intraobserver and interobserver agreement. We performed a retrospective analysis of prospectively collected data of 100 consecutive shoulders who underwent non-contrast 1.5-T MRI prior to arthroscopic surgery due to rotator cuff injury. Images were independently analyzed by two musculoskeletal radiologists. LHBT was evaluated for presence of tearing (intact, longitudinal split, partial-thickness, or full-thickness) and position (normal, subluxated, and dislocated). Anterosuperior rotator cuff tears were also assessed. The reference standard was arthroscopic surgery. The ramp test was performed in order to evaluate LHBT stability. Diagnostic performance measures were determined and Kappa coefficients assessed agreement. Concerning the detection of overall tears, sensitivity ranged from 71 to 73% and specificity was 73%. The specificity for full-thickness tears ranged from 75 to 96%. Overall displacement showed sensitivity ranging from 51 to 58% and specificity ranging from 70 to 86%. The specificity of overall displacement combined with anterosuperior rotator cuff tears ranged from 73 to 91%. Interobserver Kappa values were between 0.59 and 0.69. Intraobserver Kappa values were between 0.74 and 0.82. MRI has moderate accuracy and good agreement for detection of LHBT tears and instability. There is a tendency for increased specificity for full-thickness tears and for instability in the coexistence of anterosuperior rotator cuff tears. The online version of this article ( https://doi.org/10.1007/s00256-019-03214-z) contains supplementary material, which is available to authorized users.